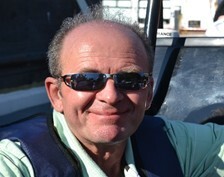 After starting in November 1994, Kees van Dijk spent the next 25 years at Debets Schalke as a work planner and buyer. Now he bids farewell to the greenhouse building company to enjoy his well-deserved retirement. 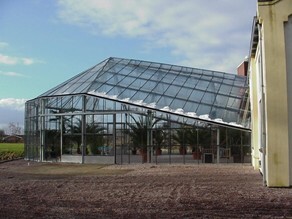 "For a quarter of a century Debets Schalke was lucky to enjoy this walking library, with his extensive knowledge of the Venlo greenhouse," says Jorel Schalke, owner of Debets Schalke. 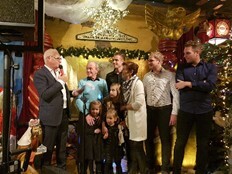 Already during the company Christmas party in 2017, the management of Debets Schalke & DS Hortitrade celebrated Kees and his wife Therese for his long-time service to the company. Nonetheless, Kees stayed with Debets Schalke another year to carry out numerous activities in collaboration with the engineering team. But now the time has come for a definitive farewell. February 1 was the last working day for Kees. For 25 years Debets Schalke could count on Kees van Dijk's expertise, thoroughness and tenacity. "There isn't much professional knowledge that Kees doesn't know something about, and he is always willing to share the knowledge. His knowledge is invaluable, and Kees is always in for a little fun. He dressed up as Easter bunny and put a smile on the faces of his colleagues, and also the regular suppliers will miss Kees van Dijk." 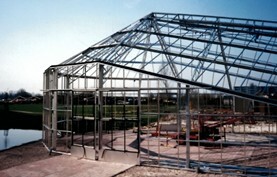 Kees van Dijk worked on hundreds of greenhouse construction projects over the years. But there is one project that Kees always mentions, a project from 1999. It entailed the construction of an orangery in Joure. "We found an archive photo of this beautiful project. Grand Café De Oranjerie isn't around the corner, but when Kees is in the neighborhood, he always visits," says Jorel. "We will miss Kees, but his architectural vision can be found both around the world and close to home. For example in the recent project 'De Westlandse Aardbei'. We are proud that we have been Kees van Dijk's employer for more than 25 years." "Kees will have to get used to it in the coming period, but he'll be able to fill his free time," says Jorel. "As a grandfather, he will probably spend much of his time with his beautiful family and grandchildren. And with the spring weather coming up, we'll see Kees cycling around Westland or teeing off on a golf course. We wish him a pleasant and healthy future and that he can enjoy his retirement for a long time. Kees, thank you for all the beautiful years that you have given us. Today is not a farewell, but a goodbye."